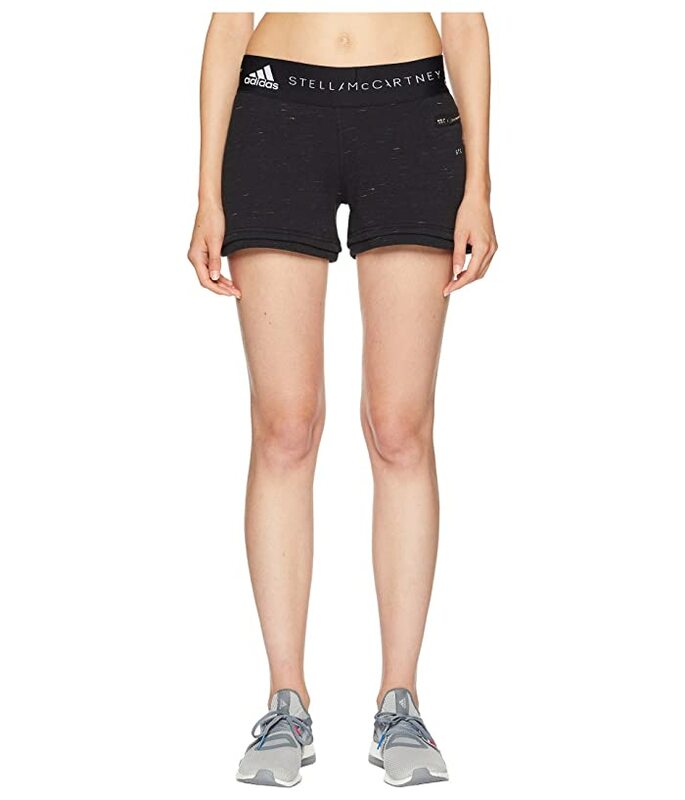 Regardless of how hot your environment is the adidas® by Stella McCartney Essentials Knit Shorts have your back. Low rise branded elastic waistband. Climachill technology keep you cool in hot conditions. Brand name logo at back right zipper pocket. Materials: 65% organic cotton, 35% polyester. Machine wash cold inside out, delicate cycle, lay flat to dry.